There often comes a moment at the coaches meetings before sectional or conference meets when a conversation takes place that highlights a telling disagreement. It usually happens when setting the opening height for pole vault or high jump. Coaches with “developing” athletes ask for a lower height to give their athletes a chance to clear a height and enter the results: “Give all the kids a chance.” Coaches with more elite jumpers want the height set higher: “This is a championship meet,” they are likely to say. The coaches officiating the event often want the opening height higher because that makes the event go faster. Both sides of the argument have good points. But the basic question becomes, why are we holding the track meet? Is it simply to qualify the best athletes for the state meet or to declare a conference champion? Or are we trying to give athletes a chance to compete—and to grow as competitors so they can compete better the next year? Our Chicago Catholic League outdoor track championships are notable because we allow four entries for all individual events. We also hold separate-day competitions for frosh-soph and varsity championships, which allows younger athletes to compete in both meets. That arrangement is clearly a nod to the “developmental” approach. The four entry slots also nods toward “participation.” Those extra slots allow a coach to enter a senior who might never have qualified for the meet on a performance basis, but who might have earned a spot in the varsity meet in other ways—like showing up for practice every day for four years. Perhaps the argument could be made that these are “first-world” track program problems. Some teams have problems filling their slots. Bigger teams have the luxury of using slots for developmental purposes. This long preamble sets down some philosophical groundwork for a discussion of a proposal put forward by Chris Quick and the Palatine High School track coaches for some tweaks to the qualification system for the IHSA state track meet. The current system pushes the first two places at the sectional meets into the state championship. Then there are time standard qualifiers. Those time standards are calculated mathematically, averaging qualifiers from previous years. But the results of that qualifying process have created a meet that, as many have noticed, leave a lot of empty lanes on the track during the preliminary races on Thursday and Friday. This is especially notable in the 2A and 3A races. Many heats are run with lanes empty on Eastern Illinois’ nine-lane track. The Palatine proposal basically asks for the state meet organizers to fill the empty lanes. Top two places at the sectional races will still qualify. The time standards stay in place, as well, so athletes know that if they meet these standards they will qualify. But then the meet should “fill the lanes” using the performance list generated by the sectional meets so that a total of 36 athletes race in each event. Filling the lanes of heats that are already scheduled for the meet will not very little extra time to the preliminaries. It will simply allow more athletes to compete. The Palatine proposal offers various observations about the meet, including arguments about the relative fairness of the current qualifying standards for the 1A, 2A, and 3A meets. But the basic philosophical argument is that more athletes deserve a chance to compete at the state meet if there are lanes available for them to compete. This is particularly pressing at the 2A and 3A levels—arguably the teams with “first-world” problems. Filling the heats would mean younger athletes on the margins of qualification might get a chance to gain experience at the state meet that would result in future development and success. It would also allow some older athletes on the margins of qualification finally to get the chance finally to compete at the state meet. More qualifying athletes probably means more people in the stands at the meet during preliminaries and the finals. It means a larger buy-in from more athletes and schools—a bigger “buzz,” in other words. It would make the state meet a bigger culmination event for top athletes in the state who have been competing against each other all season—and for long four-year careers. The Palatine proposal spells out details and arguments in careful detail. But the basic idea is that more kids would get the chance to compete in the state’s championship meet, and it would not crowd the meet with extra competitors and extra heats to extend the meet. It would simply “fill the lanes” with deserving athletes. This is a great approach – especially for 2A and 3A where qualifying is very tough. I hope this goes through. Another idea is have more individuals from cross country teams that have not qualified be able to run in the state meet especially since most of them would be faster than some of the slower runners on the teams that have qualified. 3rd & 4th place at sectionals will become more competitive on the track and more exciting in the stands. There will be a super buzz on Monday at school and more press from the local papers. Cinderella time at the State prelims! The first thing that jumps out at me about this proposal is why is it just for track athletes who run in lanes? Why don’t field event athletes deserve the same type of system? 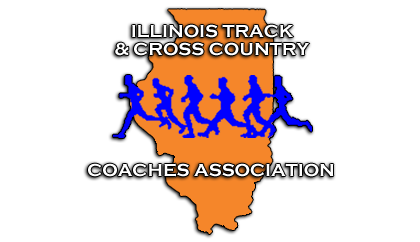 Remember, Illinois track is for girls and boys in 3 different divisions who take part in 18 events. In general, I am all for having as many athletes take part in the state meet as possible. But, fairness is a very complex issue. There is an old fishermen sayings that every time you put your foot in the river you are changing the river. Whatever system you come up with, you are going to have “hard luck stories”. If you study the prelims closely, like the 3A Girls’ prelims, you do have 5 heats in some races. If you put 45 athletes or relays teams in any lane event, you are pushing the “fairness” issue because you are not running two prelims (quarterfinals, semifinals) to get into finals — the gold standard in track and field. So, as unpopular as quarterfinals and semis are, it is the fairer way for athletes to make it into finals. With 4 or 5 full heats, you will end up with students (in different heats) running “very” close times. This is even more of an issue in Illinois. A top athlete can drop from an event without being dropped from the meet (e.g. Dajour Miles the last two years), which can have a significant effect on how the 9 athletes make it to the finals. I am not trying to be a contrarian. I am just trying to give voice fairness issues for everyone that participates in the sport. I have suggested for many years that Invitational meets results could be utilized to qualify for State. Take the conference meets, large invitationals with more than 10 schools where anyone meeting the qualifying standard would qualify for state. This is similar to the process used by the NCAA. I know that some meets may not have certified officials so only those with IHSA officials could certify that an athlete has met the standard. Ex. one year I had 5 throwers exceed the standard for shot put and discus but only two could go to sectionals (both qualified). For 30 years I have argued the same. Schools blessed with good hard working athletes are penalized by the current system. Use conference meet and 10-12 team invites that use a standard timing system and field measurement device to qualify. Let schools with more than two excellent athletes in an event send more than two.